There’s nothing more inhibiting to piano playing than being boxed in by ornaments–tied down by their inertia and lack of smooth resolution. For certain, if you’re threatened by them, or anticipate the worst possible outcome, ENTRAPMENT, then it guarantees a hasty entry and debilitating departure. Sadly, breath-LESS and anxiety-prone pianists often impede their journey, leaving embellishments crippled measure-by-measure to final cadence. So how does a player avoid the vicious cycle of ornament-driven dysfunction and enslavement? By learning flexibility and rotation, a pianist can MASTER these subjugated appendages while assuring their relaxed release. 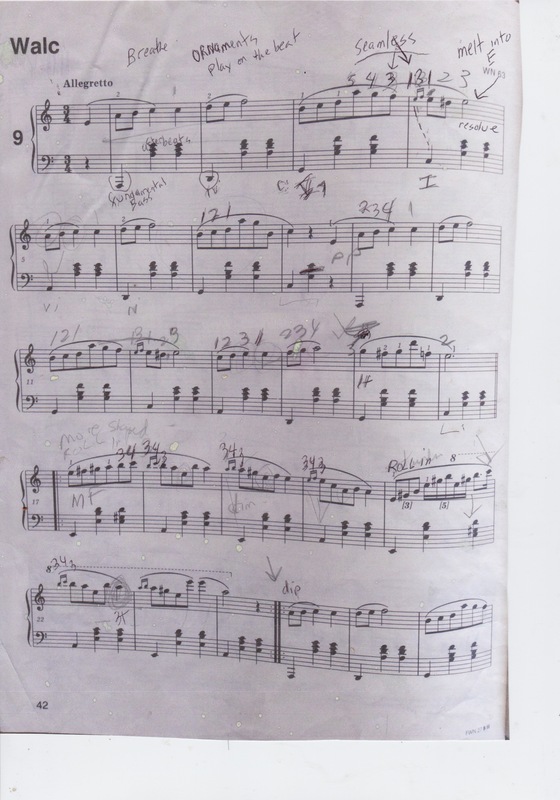 In a lesson-in-progress with an adult, Chopin ornaments from the composer’s Waltz in A minor No. 19, Op. Posthumous were FREED in the space of 34 minutes edited down to 15 conforming with You Tube imposed time limits.